These bluish-purple or red spider veins -also known as broken capillaries -usually appear on the nose, cheeks and chin. While they are not painful, they can be embarrassing and unsightly. 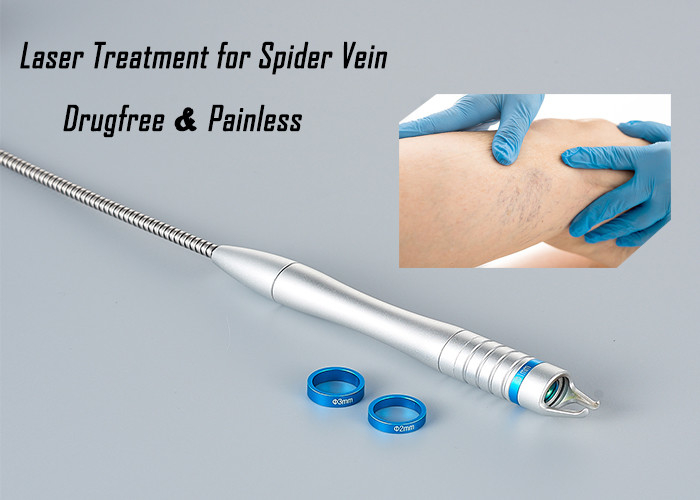 - How Many Spider Vein Treatments are needed? Depending on the size of the vessel, it may take 1-3 treatments to dissolve the capillary. How far apart are the spider vein removal treatments? Ideally, treatments should be spaced 6 weeks apart. Do I have to wear support hose for Leg Spider vein removal? It depends. With laser treatments for spider veins you do not have to wear support hose. We do recommend support hose should you need sclerotherapy. - How does Spider Vein Removal with Laser work? During the laser vein removal procedure, a special hand piece delivers heat to the targeted vein. This heat forces the blood vessel to coagulate, causing it to be slowly destroyed and absorbed by the body. The process can take just a few minutes to 1/2 hour and the recovery time is minimal. - Is Spider Vein Removal Painful? There is a pinching sensation during the treatment. A cooling spray is released after each pulse to ease discomfort and provide cooling of the skin. - How successful is angioma removal with laser? We have phenomenal results for angioma removal. The red dot turns a darker, purplish color then disappears over several weeks. Treatments are not very painful. - What will it look like after treatment? Most patients after treatment have some swelling and pinkness within the treated sites. This will diminish over a 24-48 hour period. On occasion fine superficial crusting (looks like a cat scratch) and blister formation may occur, especially in the treatment of leg veins. If this occurs, patients are asked to clean the area gently with mild soap and water twice daily and apply an antibiotic ointment.